People don’t have a trusted place in which they can find local opportunities to be more active. They find it hard to discover activities which suit their needs in a modern, time-efficient way. They want to be able to find a suitable activity easily online, in the same way they can find suitable flights, hotels, taxi’s, food etc in just a few clicks and in one place. 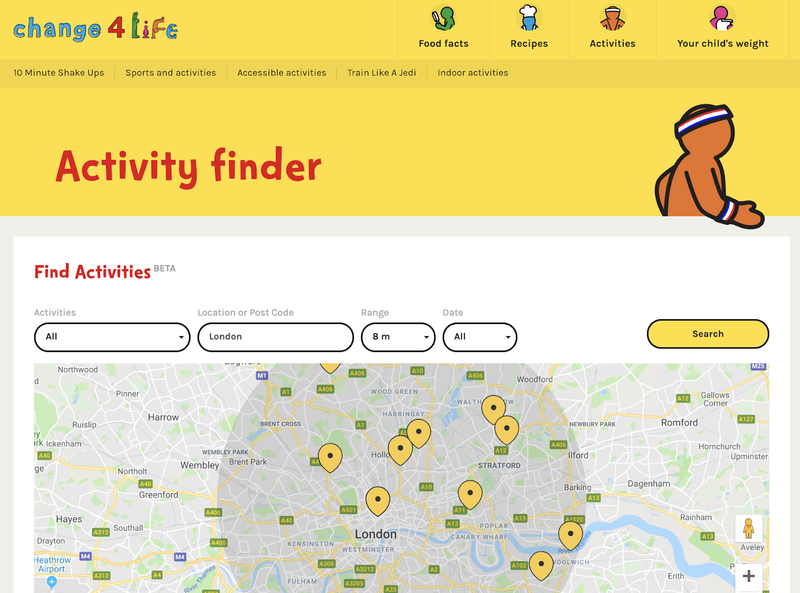 Our Activity Finder makes finding suitable physical activity easy. 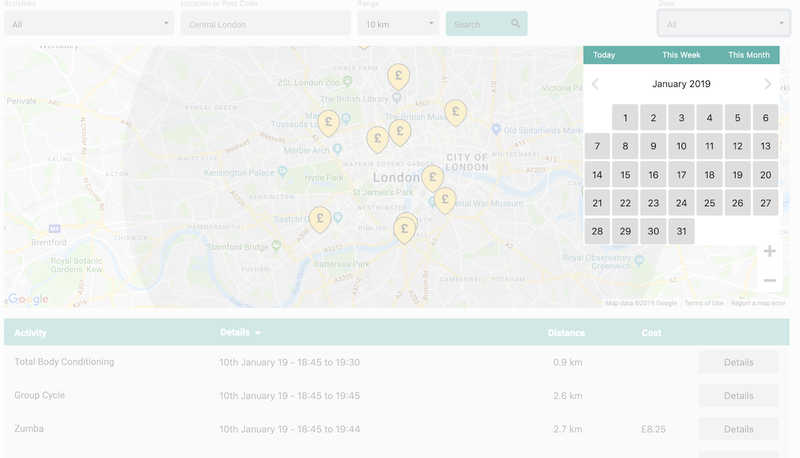 By powering our tools with open data, users are able to see the most up to date information about local activities in a way which they have become accustomed to - online. 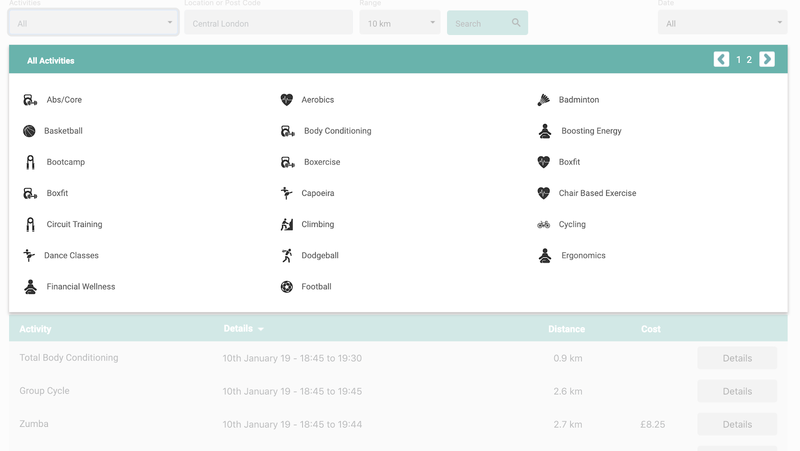 Our interface is simple and intuitive, making the user journey from ‘interested’ to ‘active’ as easy as possible. We love working collaboratively with partner organisations from design through to delivery, which ensures that the vision of the partner organisation always comes to life. Easy to use, customisable products which helps to get your audience more active. Our Activity Finders are branded so that they fit seamlessly within your website and help activity seeking users through the following features. We are looking to partner with forward thinking organisations, who want to increase participation in physical activity to their audience. 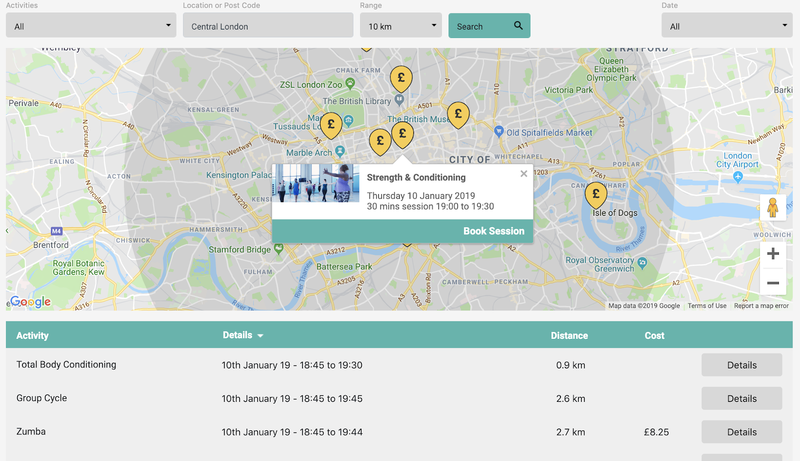 We want to collaborate with innovative partners who want to help usher in a new way of discovering physical activity online and who understand the benefits of using technology to get more people active. 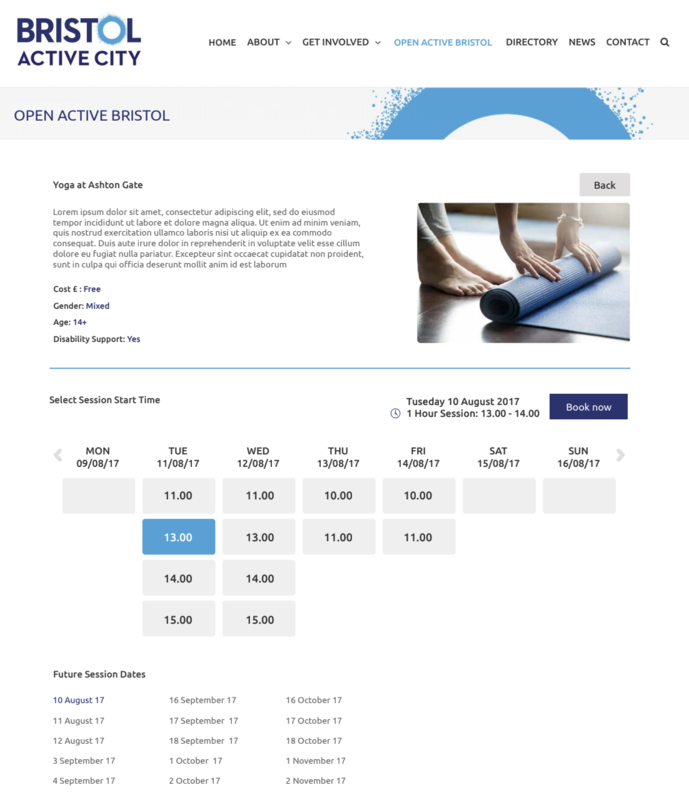 We will use open opportunity data provided via an imin API to access information about the sessions such as location, opening times, availability and other relevant information to help users make the right decisions. Our products have in built analytics tracking which we share with our partner organisation so that they can understand key information (users, demographics, behaviour, activity supply etc) to help inform wider strategy. 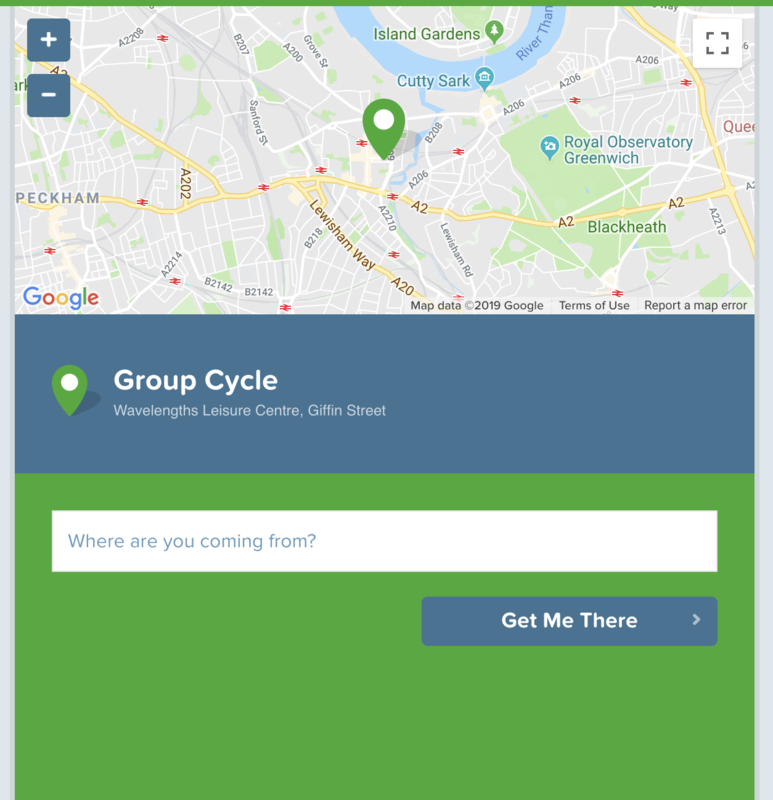 We have created Activity Finders for both public and private organisations including Public Health England, Bristol City Council and The London Borough of Hounslow. Our Activity Finders fit seamlessly within any website in just a few lines of code. We have experience working closely with great organisations throughout the development of our Activity Finders, meaning we understand what products our partners really want in order to engage their audiences into becoming more active. We love making our products evolve over time and are a dynamic team which delivers great looking, functional products and always want to over-deliver because we really care. If you have any other ideas in mind for digital products which aim to get people more active, we would love to hear them and see whether we can help make those ideas come to life. 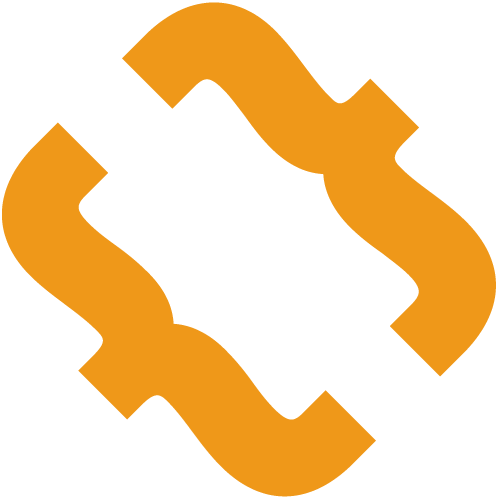 We have a flexible payment model to help meet your budget. Building an online sports community whilst taking the hassle out of organising sport!